The Sons of Dawn – Dublin’s “Midnight Crawlers” | Come Here To Me! « Merchants’ Arch Through Time. In the early 1920s, a criminal street-gang from Dublin’s North Inner city named the ‘Sons of Dawn’ terrorised citizens and business-owners . Amidst the backdrop of a violent guerilla War of Independence, it would seem that easy-access to firearms and a general breakdown in law and order helped the group to operate in an already strained and tense city. After a successful intelligence operation, the gang were finally caught in the midst of a robbery and arrested by the IRA. The first mention of the ‘Sons of Dawn’ in the newspaper archives comes from January 1920. On the night of the 16th, three masked men robbed Roger Pollock on Ailesbury Road in Ballsbridge. A half an hour later, the same group robbed another passerby John Connolly. At least one of the gang was armed with a revolver. As the Evening Herald (17 Jan) reported, the robbers told Connolly – before they took his money and pocket-watch – that he had met the ‘Sons of Dawn’. 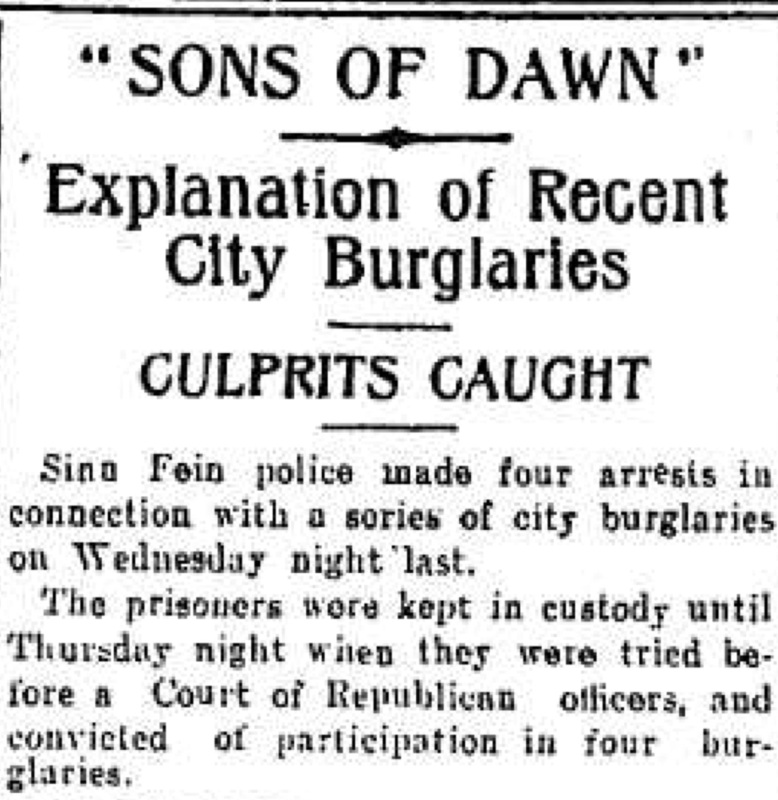 The Nationalist and Leinster Times (7 Feb 1920) reported that the ‘Sons of Dawn’ had been active in Athy, County Kildare and had broken into a pub on William Street. It seems unlikely however that the Dublin ‘Sons of Dawn’ would travel up to 80km to undertake such a burglary. If anything though, it would seem to illustrate that a gang of robbers with a menacing name can prompt journalists farther afield to pin similar crimes on them. The anxious and sleepless citizen, the late reveller in the mansion, the guardians of the city’s peace, paused a moment to wonder what daring marauder, what anarchist, what Son of Dawn, had ventured forth to shoot, loot, or be shot at. a considerable amount of police work … in conjunction with the Dáil Courts … with a view of undermining the [Dublin Metropolitan Police] … The duties involved were varied and concerned a large number of personal cases, robberies, house-breaking and the like. The brazen activity of the ‘Sons of Dawn’ brought them to the attention of the IRA in Dublin. Volunteers Sean Brunswick (BMH WS No. 898) and Nicholas Laffan (BMH No. 703) also make reference to this particular gang in their witness statements. … usually met in a billiard saloon connected at the time with Woolworth’s of Henry Street, and Woolworth’s themselves had engaged Volunteer police to keep the premises under observation. An IRA Volunteer obtained information that the gang planned to rob a wholesale tobacco business owned by Patrick McEvoy known as Magill’s at 105 Capel Street (now the Outhouse LGBT community centre). At around 10.30pm on 22nd September 1920, four members of the ‘Sons of Dawn’ robbed Magill’s of tobacco and about 20 packets of cigarettes. As they were leaving the building through the back door, they were greeted by 16 armed members of the IRA. The gang of four were marched away blindfolded to a “house unknown” where they were placed in a cellar and kept until 9pm the following day. Liam O’Carroll’s Witness Statement reveals that the gang was brought to the Colmcille Hall at 5 Blackhall Street in Smithfield. A brisky 10 minute walk from Capel Street. This building had been owned by the Gaelic League since 1900 and was used as the HQ of the 1st Battalion, Dublin Brigade of the Irish Volunteers/IRA from 1914 to 1922. Besides being caught red-handed immediately after the robbery, the IRA searched the boys and found a photograph of the four of them with “The Sons of Dawn, 1919, 1920” and “The Boys of Dublin” written in ink on the back. They were tried before a five-person “Court of Republican officers” and found guilty of robbing the Capel Street premises along with other three businesses on Henry Street: Menzies and Co., Lipton’s Ltd. and Burton’s. The armed robberies in Ballsbridge and Rathgar were not mentioned. Corlett and Gannon were sentenced to be flogged twelve times “on the bare back” and five years deportation. Reid was sentenced to three years deportation and Thomas to 12 months deportation. … broke down and wept while another asked to be shot rather than leave the country. He was given the option and quickly accepted the first order of the court. The four boys were taken from the building separately and two IRA police officers were detailed to walk with each for half-an-hour (in circles no doubt) before they were let go on Green Street. 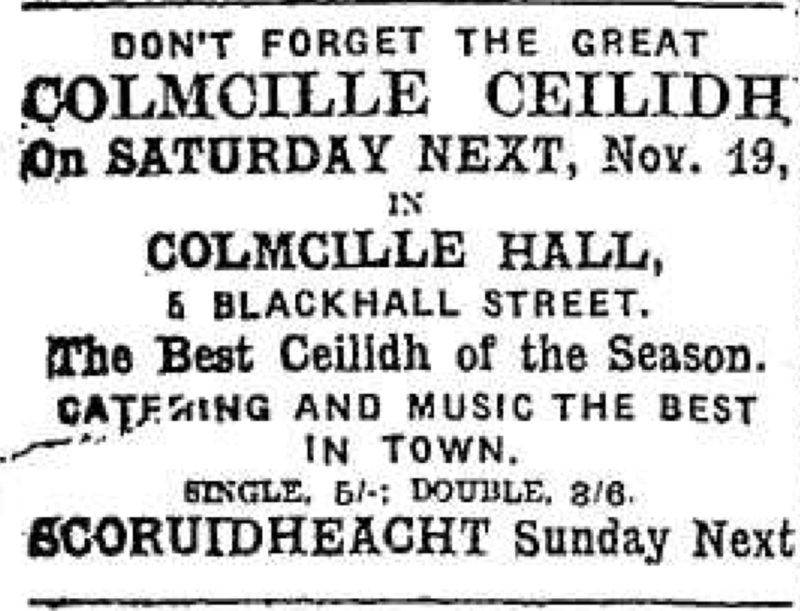 It would appear that the DMP picked them up in the following days as the Evening Herald (14 October 1920) reported that the same Matthew Reid and Thomas Corlett were charged with the break-in of Magill’s on Capel Street and sentenced to nine months imprisonment each. James Gannon and Henry Thomas do not appear to have been charged by the authorities. So it would appear, despite assertions in the Witness Statements by former IRA volunteers, that the boys were not forced to emigrate from the country. In October 1920, four houses were broken into in the neighboring villages of Kilternan and Jamestown in South County Dublin. The Freeman’s Journal (8 Oct) reported that the masked and armed men had left a receipt for their seized money with the signature ‘The Sons of Dawn’. Times were certainly changing as the chairman of the Rathdown Guardians told the newspaper that “this was a serious matter and should be referred to the Republican police”. It is unclear whether this was another ‘branch’ of the original ‘Sons of Dawn’ or a gang who wanted to use an already-established name. Thomas Corlett, 34 Cole’s Lane. Born 18/05/1901. James Gannon, 38 Moore Street. Born 11/07/1899. Matthew Reid, 21 Upper Rutland Street. Born 04/02/1900. Henry Thomas, 38 Lower Dominick Street. Born 1891 or 1895. Thomas Corlett was born on 18 May 1901 at 5 Rotunda Market to parents Alfred, a postman, and Alice Corlett (née O’Brien). Rotunda Market near Moore Street linked Denmark Street and Cole’s Lane which all vanished with the building of the Ilac Centre. In 1901, the family were still living at 5 Rotunda Market and in 1911, the family including Thomas (9) were living at 34.1 Cole’s Lane. At the time of his arrest in 1920, Thomas was still living on Cole’s Lane. The Freeman’s Journal (16 Jan 1920) reported that a Thomas Corlett (18) was found not guilty of breaking into a bottling store on Henry Place and stealing four dozen bottles of stout and two dozen bottles of whiskey. This overlapped with the period during which the ‘Sons of Dawn’ were active. The ‘Irish Prison Registers 1790-1924’ reveal that Thomas was charged with “illegal possession of a silver dish” (February 1920); “breaking and entering” (September 1920) and “shop-breaking” (October 1920). 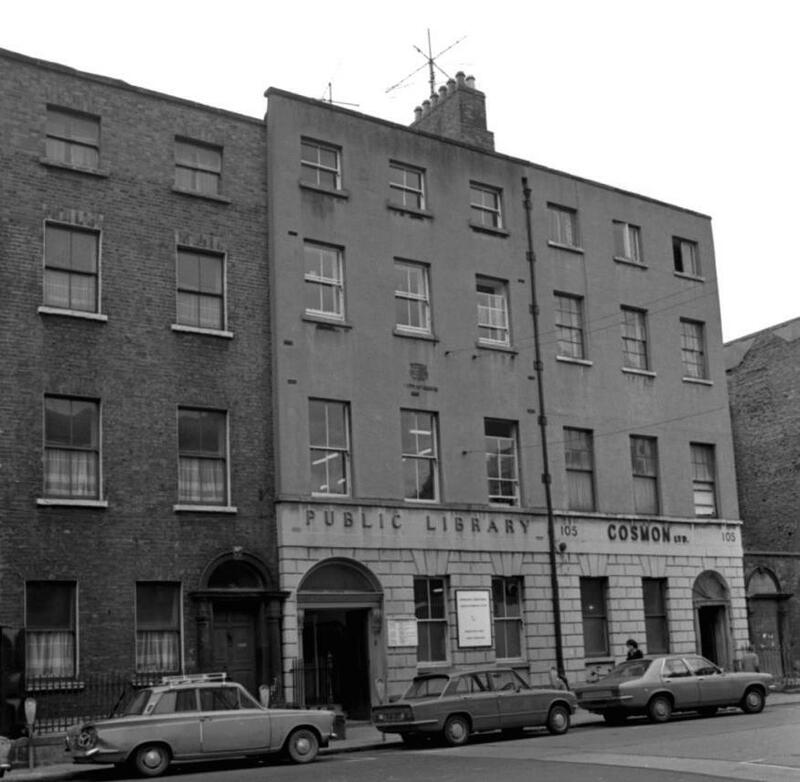 In September 1933, Thomas Corlett of 34 Cole’s Lane was fined £11 in the District Court, according to the Irish Press (15 Sep), for failing to comply with the National Health and Unemployment Insurance Acts. In October 1933, a Thomas Corlett was charged with breaking into the Catholic Church at Mount Argus, Harold’s Cross, Dublin 6 the previous August and stealing the contents of the collection box. The Irish Times (28 Oct) noted that Corlett was proprietor of the Technical Cafe, 36 Bolton Street. He was later acquitted after a witness was recalled and re-examined. James Gannon was born on 11 July 1899 at 67 Patrick Street to parents Patrick, a baker, and Margaret Gannon (née Logan). In 1901 , the family including James (1) had moved to 2 Moore Street Market and by 1911, the family with James (10) had moved a few doors up the street to 38 Moore Street. At the time of his arrest in 1920, James was still living on Moore Street. In August 1921, a James Gannon (21) was sentenced to three years “penal discipline” in the Borstal institution Clonmel, County Tipperary for breaking into two premisses in Dublin and stealing clothes and alcohol. The Evening Herald (4 Aug 1921) noted that the man’s mother was a “dealer in clothes”. This individual is the same age as the ‘Sons of Dawn’ James Gannon whose mother was a “Second Hand Clothes Dealer” according to the 1911 Census. The same newspaper article described the boy as having lost his father in the First World War and falling into “bad company” while his mother was “not aware he (was) suspected of being concerned in other criminal enterprises”. It would appear that his arrest and interrogation by the IRA was not enough to put him on a moral and law-abiding path. Matthew Reid was born on 4 February 1900 at 15 Hill Street off Parnell Street to Charles, a labourer, and wife Mary Reid (née Hand). In 1901, the family including one-year-old Mat were still living at 15.4 Hill Street. By 1911, the Reids including Matthew (11) had moved to 56.1 Bow Lane West in Kilmainham, Dublin 8. (Matthew’s mother’s name has changed but everything else matches). When Matthew was arrested in 1920, the newspapers did not provide his address but it would appear it was 21 Upper Rutland Street as the ‘Irish Prison Registers 1790-1924’ shows that Matthew Reid, who was born at 15 Hill Street, was charged with”breaking and entering” (September 1920). In July 1916, the same Matthew Reid was arrested for “larceny”. His address at the time in 1916 was 4 Belmont while 15 Hill Street was listed as his birthplace. The ‘Irish Prison Registers 1790-1924’ reveal that Henry Thomas lived at 58 Lower Dominick Street in 1920. His birthplace was listed at different times as Dublin, Liverpool and London and there are conflicting years of birth. In 1901, the Thomas family made up of Albert, a butcher, his wife Mary and son Albert (8) were living at 2.2 Sandwith Place near Pearse Street. In September 1910, Henry was charged with ‘obscene language’. The records show that he was living at 49 Summerhill and was born in Church Street. In November 1910, he was arrested for ‘loitering and house-breaking. The Summerhill address corresponds with the the 1911 census which shows that Henry (16) was living with his family at 49.7 Summerhill. In May 1917, Henry was arrested for ‘larceny’ of a ‘gold ring’ worth £8. The family had moved to 7 Lower Dominick Street while his birthplace was listed as ‘Liverpool’. In March 1918, Henry of 58 Lower Dominick Street was charged with stealing a sum of money. His birthplace this time was listed as Arran Quay. In December 1918, Thomas was charged with stealing a blouse worth £3. His current residence was 58 Lower Dominick Street while his birthplace was listed as Sandwith Street, Dublin (which corresponds with 1901 census). If you think you might be related to any of the four boys, we’d love to hear from you. Did a grand-parent or grand-uncle or an elderly neighbour ever talk about the Sons of Dawn? Next time I’ll be looking at another Dublin criminal outfit who were also tracked down and captured by the IRA in the same time period. The Animal Gang followed in the 1930s & in criminal terms were a success. In the vacuum of anarchy looting was common with food shortages & some sad events happened. Those who promote political violence anywhere know it is the poor who suffer or are used as cannon fodder. My grandfather William Browne G company 1st Battalion Dublin brigade IRA was involved in the arrest and capture of the sons of dawn and was a guard on them in 5 blackhall place. on July 23, 2018 at 7:27 am | Reply Claude Gunner’s gang (1921) | Come Here To Me!